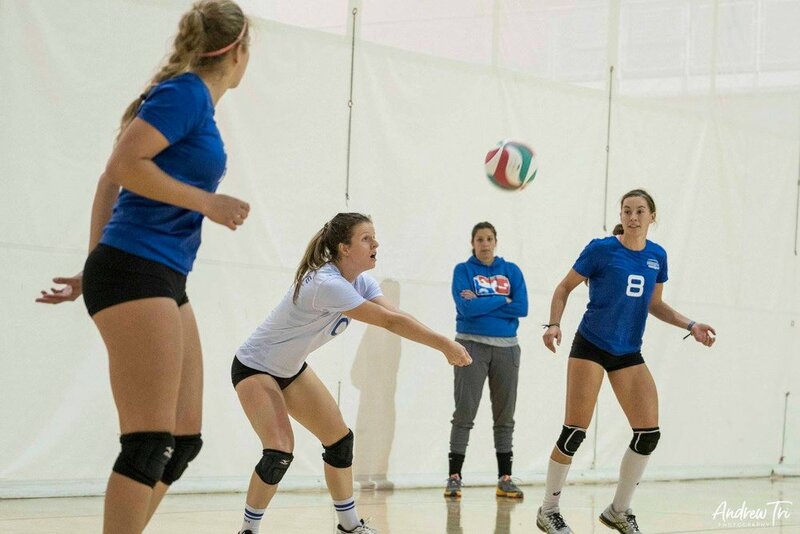 For Myriam Hallé, her journey with volleyball happened a bit differently than most, but her passion and love for the sport is just as great as any. Hallé's volleyball resume is filled with accolades from both indoor and beach volleyball, including 2 RSEQ titles with the University of Montréal and both a silver and gold medalist at the 2011 and 2014 Beach National Championships, respectively. Hallé played volleyball all through high school and club like most, and she also played College for Lionel-Groulx before being recruited to the University of Montréal. "The coach saw me play libero during my last collegial year and asked me to attend the training camp because he liked my energy on the court," she says. Hallé eagerly accepted a position on the squad but after only a few weeks of training with the team, both setters got injured. 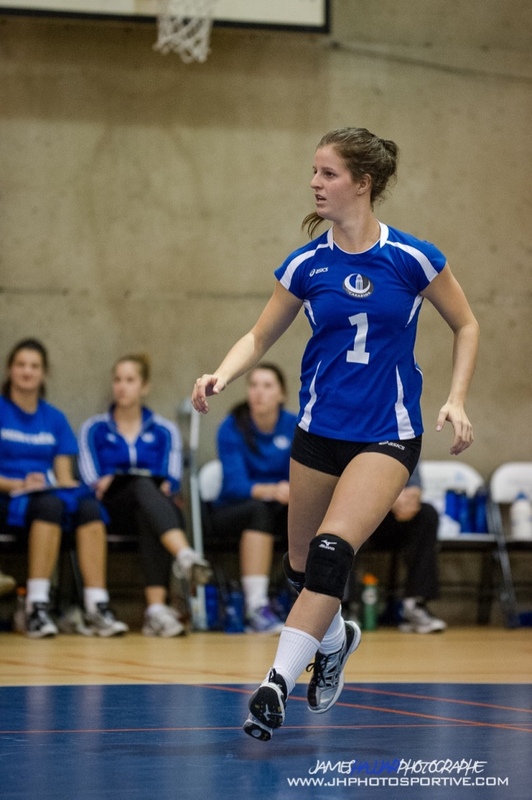 "I was asked to learn to set and I never played as a setter in my years of volleyball before University," she says. "On my first practice I was asked to jump set and do fast plays. I'd say I had to learn quickly!" Hallé continued to set for the team for 3 years before stepping back from volleyball to pursue her career in Pharmaceuticals. Not able to ignore her love for the game for very long, she joined the Celtiques Senior Team to keep playing at a high level, and started coaching with Olivier Trudel at the University of Montréal. "I felt that 3 years as a player were not enough for me and I still had a lot the give to the team," she says. With the Celtiques she trains once a week, and at first it was a bit of a shock adjusting to the post-competitive volleyball life she once had. "The environment is very different. We're self-coached and play on Tuesdays after a day of working. It's a good way to continue to play my sport at a good level and having a good time with my friends," she states. "We love doing tournaments organized by ONE Volleyball to bring us competition as there is not a lot of tournament we can do around Montreal." Aside from her time with the Celtiques and her life as a Pharmacist, which she loves, Hallé is taking Pharmacy Management classes to buy her own Pharmacy one day. And since coffee is one of her favourite things, it's likely that you can find her sitting in a remote coffee shop in Montréal-Nord, sipping a hot cup of Joe and studying for her future career goals. Hallé claims its her work ethic that gives her the drive to pursue new avenues of her career, but that comes from all her years spent on the court. "Everything I learn in sport is helping me a lot in my career right now," she says. "Whoever is on the other side of the net won't intimidate me and that relates in my life too." You can catch Myriam Hallé and the Celtiques January 6-7, 2018 at the 1st Challenger Series Invitational!